CD Version is sold out. Essential Church Certificates - Children's Edition (Download Version) Essential Church Certificates - Children's Edition! We understand how important it is for you to recognize the children of your church and those who teach them. They deserve to be praised and acknowledged for their hard work, efforts and talents. 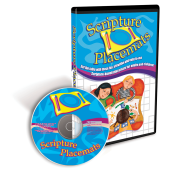 Now you have an easier and less expensive alternative to reward the children of your church. 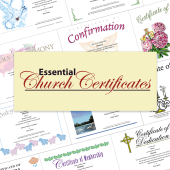 Essential Church Certificates - Children’s Edition offers you the greatest value, choice and flexibility when it comes to recognizing the children and their leaders within your church. 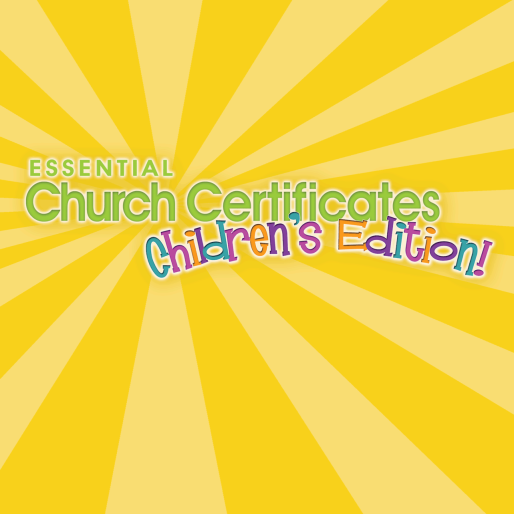 You’ll be surprised how easy Essential Church Certificates - Children’s Edition are to use! • Eliminate Waste. You’ll never use prepackaged, preprinted certificates again. Now you can produce as many or as few as you need! • Save time and unnecessary frustration. No more last-minute runs to the store or time-consuming searches for the right certificates. • Reward children more often. Because they’re reproducible you have more opportunity to be spontaneous. Take advantage of unexpected occasions to reward children that have gone the extra mile or just need a boost. The convenient download version provides all the same professionally designed templates without waiting for the CD to arrive or paying shipping and handling costs. Regardless of the version you choose, all certificates are easy to edit, appropriate for all Christian denominations and conveniently provided in both Microsoft Word and Publisher (compatible with 97-2003 versions and newer). They’ll take you only minutes to prepare, but they’ll look like it took hours. 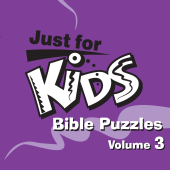 And, your entire children’s ministry staff and volunteers can use them! Essential Church Certificates – Children’s Edition will become an essential part of your Sunday school and children’s ministry program. 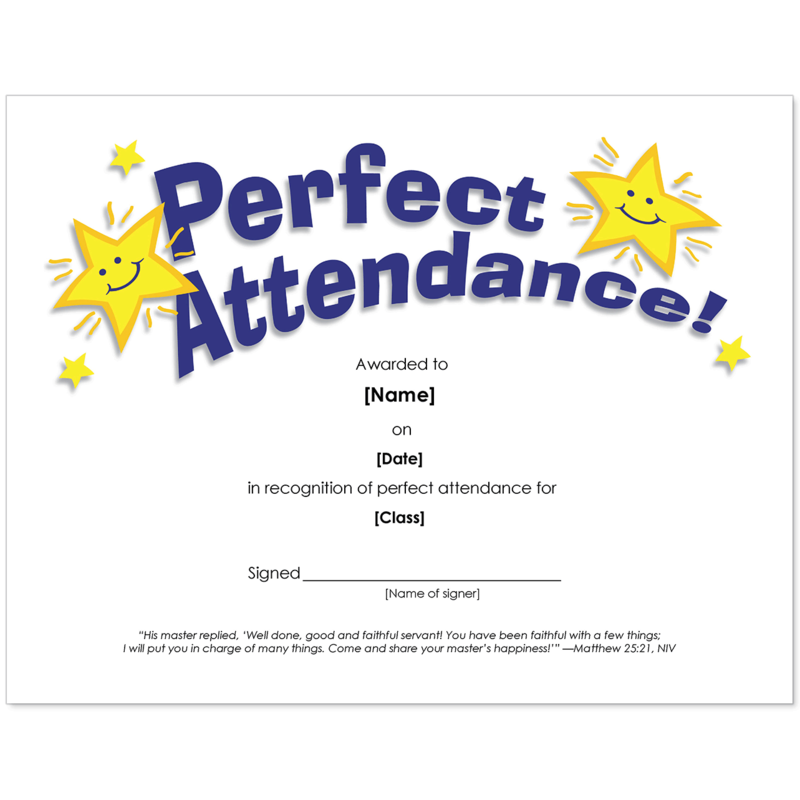 Your staff will have greater peace of mind and will never be caught again without the perfect certificate for every occasion. 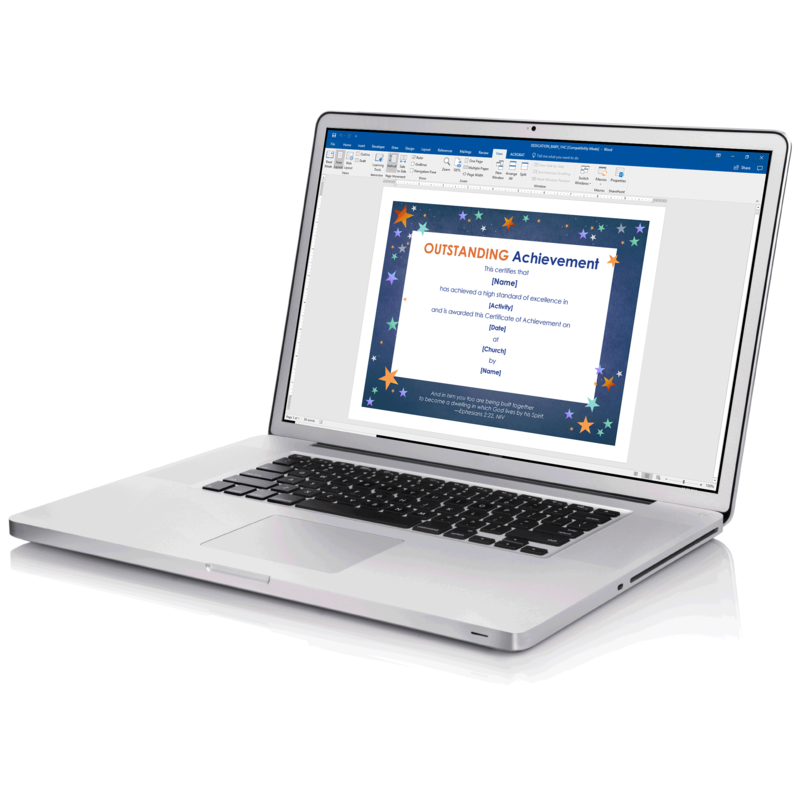 50 Certificates provided as a PDF and in Microsoft Word formats. 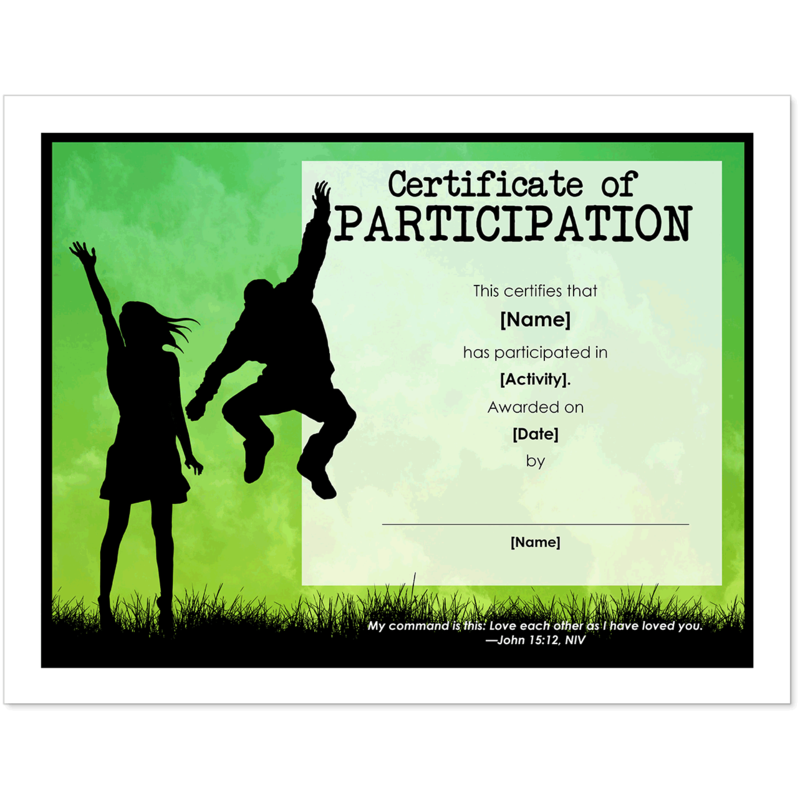 All certificates are provided in 8½" x 11" landscape format and 8½" x 5½" portrait format. 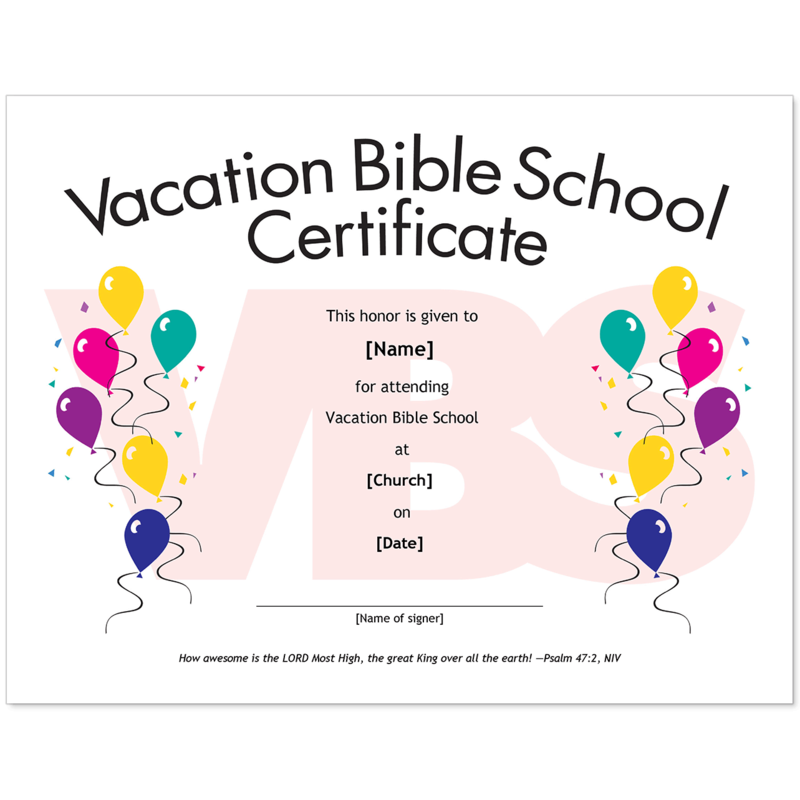 • Certificates of Achievement – General, Congratulations, Memory Verse completion, Psalm 23 memorization, Books of the Bible memorization. 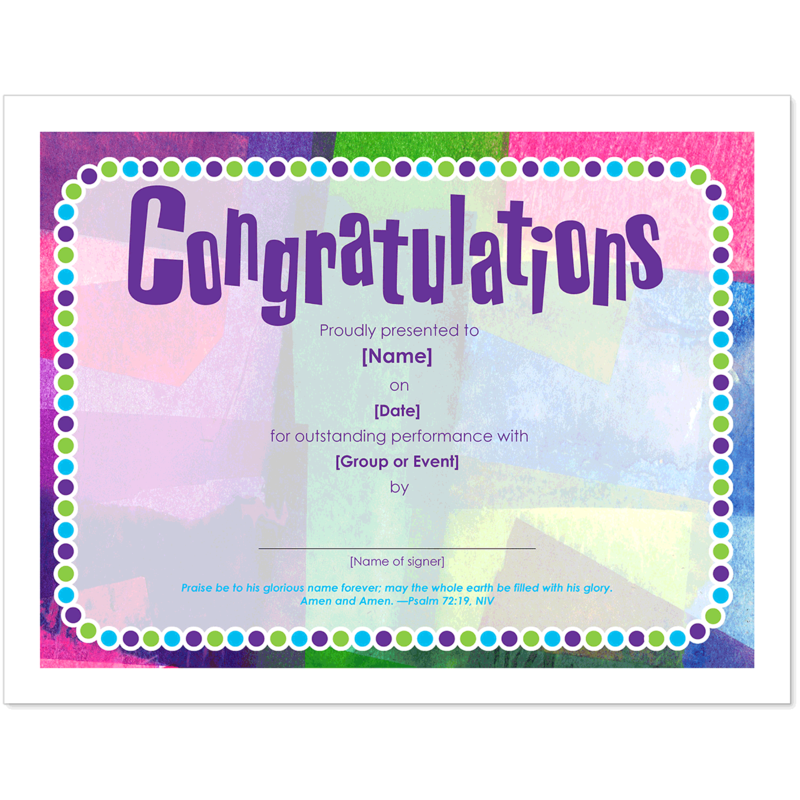 • Each Certificate is provided in 8½" x 11" landscape format and 8½" x 5½" portrait format. • Compatible with most Windows PC and Macintosh computers. 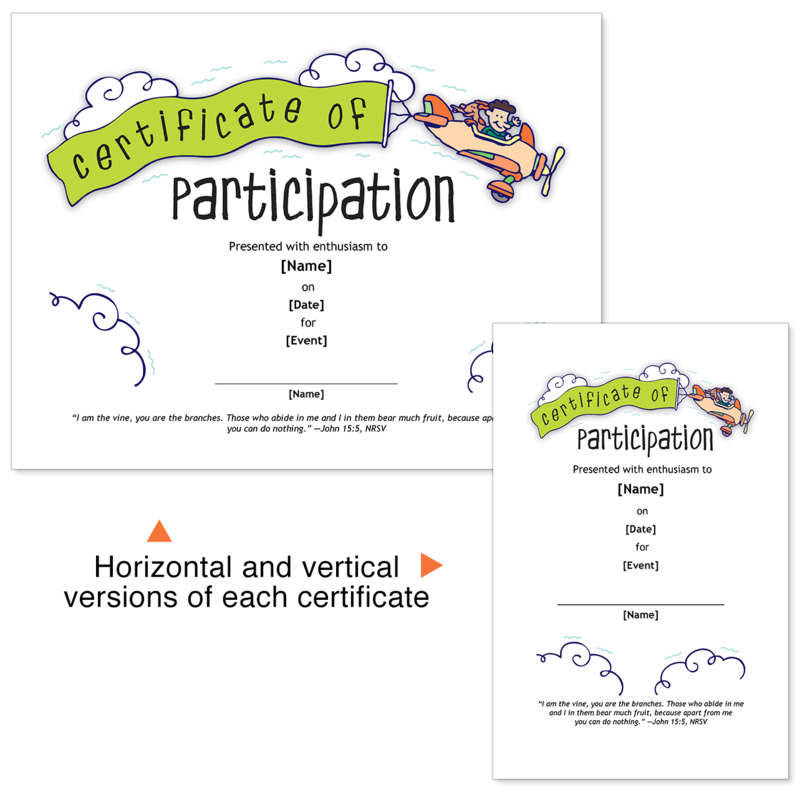 • Each Certificate is provided as a PDF and in Microsoft Word format for easy editing. • Compatible with Microsoft Word 97-2003 or higher. Download version contains a zip file of .PDF and .DOC files that is 121 MB.